Preparing for conception, pregnancy, birth, parenting. For example, personal relationships need to be as healthy as possible. Prenatal Bonding. We need to be welcoming the consciousness that is incarnating. We need 'prenatal care', not 'prental scare'. This is the time when women have the most influence on the world, and also on men. They have the power to change the world. She can fill her baby with Love & Light. Also see Natural Pregnancy. Natural home birth. 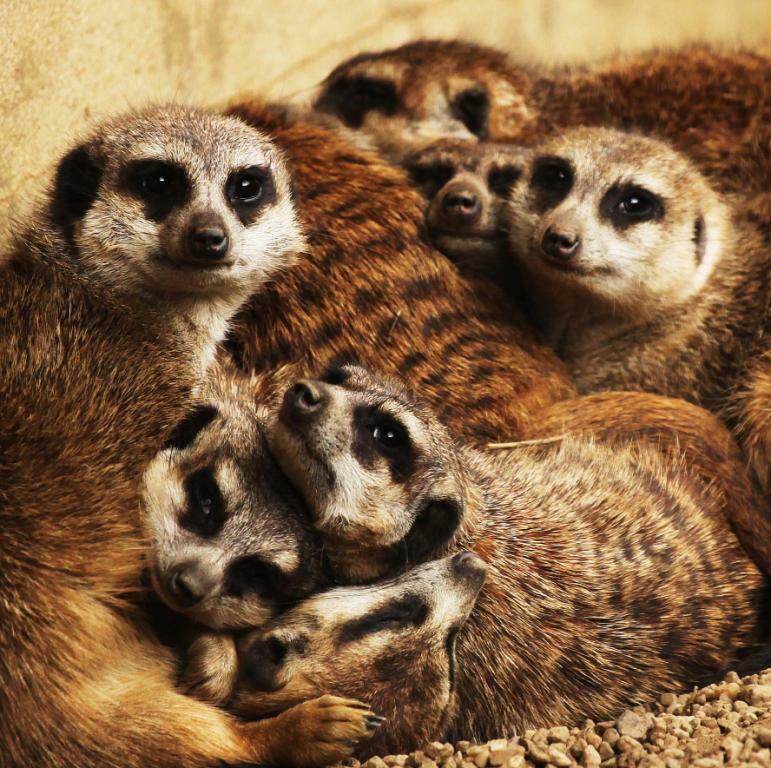 In a nest with people around with whom mother feels comfortable. Breastfeeding. Feed on cue (babies do not manipulate or demand!). Extended for at least a year. No sleep training. Work with the natural rhythms of the babe. 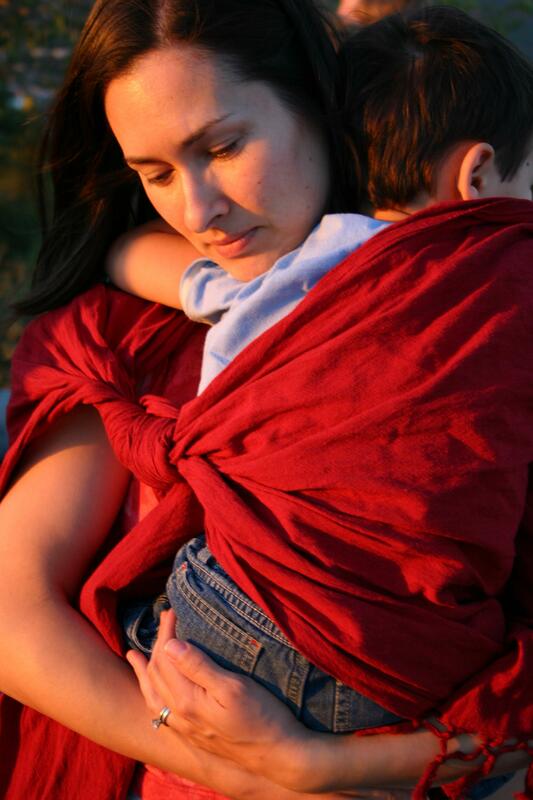 Baby wearing, such as a sling. Make it safe. I found this to be excellent for socialisation, baby is involved in all adult interactions at eye contact level. It is also great for the father to feel really involved!! Read more in Modern Science of Babywearing (includes infographic of 23 evidence-based benefits). Use of nurturing touch. This is the Culture of Touch. Constant primary caregiver(s) for at least first four years of life. This necessitates stay-at-home parenting, and consistent loving care. Balanced lifestyle. Avoid stressful events when childrearing, such as building projects and moving home. Cultivate relaxation and peaceful, harmonious times. Positive discipline, such as the The Three C's of Alfie Kohn (content, collaboration, choice). Children are consulted and informed. Parenting is not confrontational or adversarial or a power struggle. The art of distraction is very helpful! Natural consequences is preferred to harsher methods. See if you can get children to see what it might feel like if they were on the receiving end. Teaching by example is great. Be sensitive to baby's and child's cues. Adopt child-appropriate responses. Avoid regimens, tap into the rhythms and enthusiasm of the youngling. This is natural or instinctive or intuitive parenting. Baby is never left alone, always within sight or hearing range. Socialisation is more natural, as part of daily life, with a wide variety of age groups, as would happen in a village. Baby and child are innately social. They do not require years of socializing and discipline to become good. Parenting is not so much child-centred (yet it is child-led). Baby is a passenger here to observe and learn about life. Parents get on with life activities. This is about community and connection. Natural health. Avoid vaccination and drugs (for parents and baby). We used flower essences, homeopathy, organic foods (as much as could afford), magical bullets for babies. Child-led weaning, and the resultant likelihood of proper spacing of babies. Three years apart helps avoid sibling rivalry. A minimum two years (WHO, 2005) reduces risk for all. It will also allow mother to naturally restore her emotional, physical and nutritional resources. Child-cued toilet training. This can be from birth - when it is called Elimination Communication or The 'Nappy-Free' Method or 'Baby-Led' Potty Training - which would be the sort of way we have done it for millions of years. This will enhance bonding and be far less costly - see BBC video (posted and accessed 11 April 2017). Otherwise, cloth nappies will assist child-cued toilet training, as well as protecting the environment. Home education in a natural way, like lifelong learning (also see here and here and here). Education becomes a lifestyle. It tends to be child-led and holistic with a natural emphasis on life skills and emotional intelligence. Respect their right to develop at their own pace, whilst providing opportunities and material for learning about life. It is about partnering and connection, not adversarial or involving power struggles. The 'Village' is vital. This is a small community of supportive people. This includes extended family and community. Whilst the baby's greatest need is others (especially the nurturing mother), the mother's and parents' greatest need is others (in the form of a village). There is an African proverb, 'It takes a village to raise a child'. Older children want stress-free hang-around time with undistracted parents. Be there emotionally for your children. Speak to them, find out what's going on in their lives, even if they seem disinterested. Listen to them, laugh with them. Put family first. Less TV and computers promotes attachment to parents and peers, family and friends. Also see here, here, here. Sufficient natural stimulation such as appropriate physical and mental exercise assists bonding. The dog whisperer Cesar Millan talks about how a dog needs these every day to be balanced, and before the owner gives the calm-submissive dog affection. Affection and love need to be available at all times for children, but sufficient exercise and stimulation for all are important to assist family bonding. Walking together, ideally in nature, is very bonding. The sources of these practices are from John Bowlby, The Continuum Concept, Dr Sears, Attachment Parenting International, Wikipedia and The Canadian Society for the Prevention of Cruelty to Children, as well as my own experience and thought. On a personal note, we did quite well, but our relationship obviously wasn't perfect (we are now divorced), we had a very stressful lifestyle (we lived in a country where crime was rampant, whilst doing a huge building project and then emigrating, etc. ), and we had no extended family and little village (her parents had abused her and she cut off from them during the first pregnancy, whilst my father was dead and I am distant from my mother). We had some trying times and we did and do practise many of the above. The fact that it was strenuous and demanding for us without a support network of family or friends was - and is - disappointing. But I would definitely do it again - the attachment parenting lifestyle - as best I could. And I continue to practise it, as it is a lifestyle, and a way to bring about world peace!